Cosmetic dermal fillers are becoming increasingly popular for those who want a subtle, youthful enhancement. Dermal fillers are used to reduce the appearance of wrinkles and can also be used to plump up the lips and cheeks for younger looking skin. Over time, our skin loses volume and our facial tissues thin, causing lines to appear and cheeks to look hollow. Dermal fillers were designed to help address these concerns by injecting volume back into the skin, providing fullness to the face for a younger look. 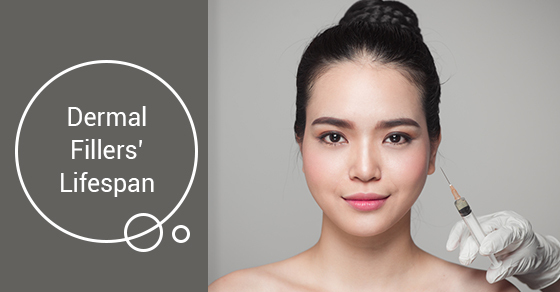 And because it is a subtle change, dermal fillers also provide a very natural look. Another great thing about dermal fillers is that the procedure is quick and safe. Dermal fillers are injected underneath the skin to restore fullness where volume is lost (cheeks, corners of mouth, tear troughs, lips) for a more plump and revitalized appearance. Aside from restoring volume dermal fillers can be used to treat static wrinkles (wrinkles at rest). Dermal fillers are composed of hyaluronic acid a natural sugar found in the body and is the most commonly used dermal filler in Canada. Your best filler injector Dr. Skouras will help you to decide the best option for you. Note that injectables like dermal fillers are different from Botox: Botox relaxes the muscles; dermal fillers actually fill in wrinkles. Dermal fillers can last anywhere from six months to a year and a half. In general, the results can be influenced by your age, where the fillers are being injected, and the specific types of dermal fillers being used. If you are interested in cosmetic dermal fillers, consider Skouras Eye and Cosmetic Centre. We are a leading cosmetic surgery centre in Toronto. Our clients choose us because of the great results we deliver. Contact us today for more information.